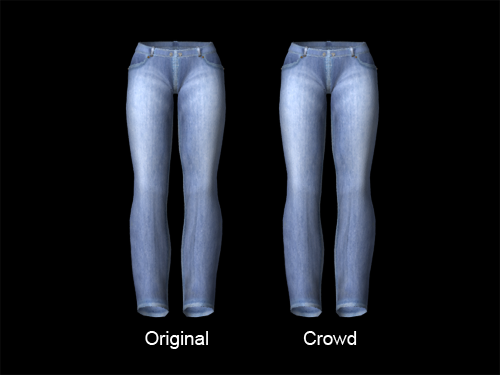 For an unknown reason, high-resolution textures (superior to 2048 x 2048) render softened with Mental Ray when applied to Crowd Characters while they appear fine on the source Character. Even if we did not really understood the underlying reason, there is a easy workaround. First you need to switch the Filter Type of the problematic texture file to Mipmap. Then, in the Mental Ray panel of the texture file, activate the Advanced Elliptical Filtering and set the Anti-Aliasing Level to the value you want (1. is a nice balance between rendering time and rendering quality). More information about High quality texture filtering can be found in the Maya documentation.